For Safer Internet Day, Google wants to give you free things. 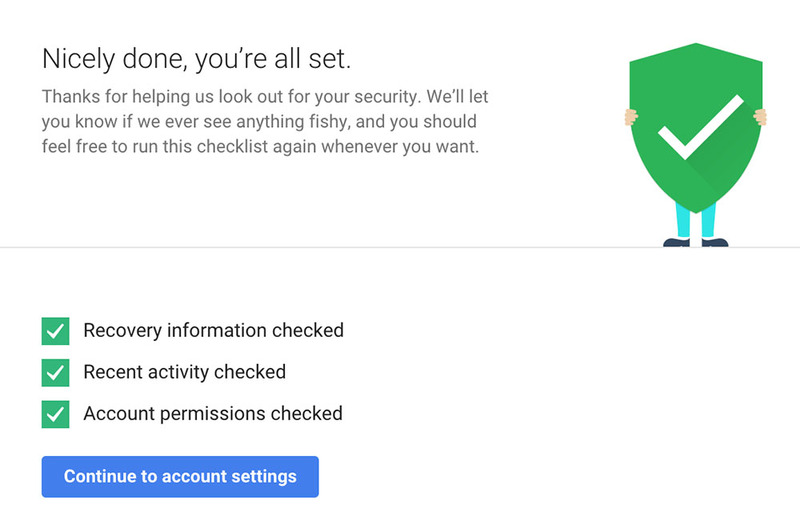 More specifically, Google wants to give you 2GB of free, permanent Google Drive storage by completing a simple security checkup. Your favorite services company is using the day to help remind you that online safety is more important today than ever, so by taking two minutes of your time to ensure that you are taking advantage of Google’s protection, they will reward you. Click through this link to the security checkup. Follow the steps to make sure you are taking advantage of Google’s protection. It should take only a couple of minutes. Once you are finished, you should see the image below, filled with green check boxes. With check boxes green, you are eligible for the 2GB of free storage. Google says that they will grant the storage bump to security checkup completers around February 28, confirming with an email. Unfortunately, Google Apps for Work and Google Apps for Education are not eligible for the bonus storage.